Supercars are every car owners dream, but are they really so far gone? The reality is there are many different models you can find used for under $30,000 and $50,000. Supercar prices have declined over the years, which is good news for buyers who want the thrill of owning and driving the car of their dreams. Read on to learn more about why supercars are more affordable than you think. In your home turf, you’ll find there are a number of cars that are classified as supercars and available for a reasonable cost to you. Do you like foreign or domestic vehicles? If you like domestic cars, you’re usually in luck. You can save by driving or having the car hauled from wherever you buy it as well. Look for foreign cars in their home country, and you’ll often find that they cost you significantly less. The trick is trying to find some way to transport them. There are a variety of companies that specialize in hauling cars overseas, complete with insurance packages. It’s helpful to utilize a supercar price guide for these kinds of searches. If you shop for loans under the right circumstances, and you’ve got excellent credit, you can find some great terms. Look for long term loans on supercars, because they tend not to depreciate after a while. It also helps if you buy your supercar as an alternative to your daily drive car. Many owners have older cars they commute with, and a supercar for weekend fun. 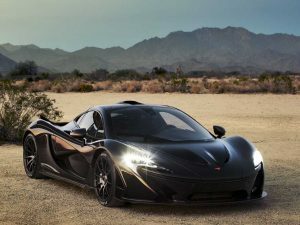 Supercar.io is a global research agency dedicated to providing accurate pricing information for high end supercars, both new and used. We enable supercar sales professionals as well as supercar enthusiasts to compare supercar prices by make, model, year and country. If you want to buy a car, you have to determine what you can afford before you settle on a certain make or model.